Winter, that is. In fact, parts of our lovely state of Vermont already have some snow. This means that it's time to call the garden done and get it prepped for a long winter's nap. I don't have much left in garden, veg-wise, but I do have a crapload of herbs, so this week I harvested what was left and set about drying them for use over the cold winter months. I have dried herbs using two different techniques, one fast and one slow, so I'm going to share both of them with you. Both are simple and will leave you with dried herbs that are much more flavorful than any you can buy. I love a nice cocktail, don't you? We are famous (notorious?) for our evening cocktail hour, a la 1954, here at Chez Ninj. Corny, but it's a very relaxing way to end the day, like setting an appointment to sit down together and talk. But with cocktails, so it's extra festive and not at all therapy-ish. So, given Cocktail Hour, I'm always looking for good recipes for accompanying nibbles. Nothing sweet, just a little salty-cheesy somethin'-somethin' -- you know what I mean. Therefore, you probably heard me screaming in delight recently when I opened the November issue of Food and Wine and saw that the incomparable Dorie Greenspan (insert reverential bow) had seemingly answered my prayers. One of the things I really wanted to try my hand at as soon as I returned to New England last year was hard cider. I love cider: the drier, the better (if you ever see a bottle of Farnham Hill Extra Dry, buy it immediately!). If it's on the menu in a pub or restaurant, it's my drink of choice. I've been happy to observe that I'm not alone. Artisanal cider-making is growing in popularity, at least as evidenced by the number of articles about it that keeping popping up in the foodie publications. 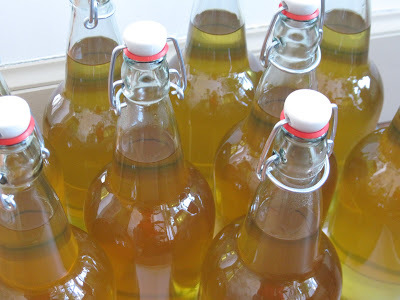 So, armed with a love of cider but almost no knowledge, Mr. Ninj and I made cider last year. And you know what? It was awesome. Wicked awesome, in fact. I relied almost exclusively on a how-to article from the Mother Earth News and the advice of Vermont Homebrew Supply, the owners of which very patiently answered all my newbie questions as I took copious notes. Given how successful and delicious our experiment was last year with five gallons of cider, we decided to double it this year, and I'm going to chronicle our efforts here so you might try to make some, too. Welcome to Ninja Cider-Making, part 1. One of the things I love about fall and the weather turning cooler is that soup is back in the recipe rotation. Not that I don't enjoy summer soups, such as gazapacho or fresh tomato bisque, but the hot-and-hearty soups of fall and winter are pure comfort food. 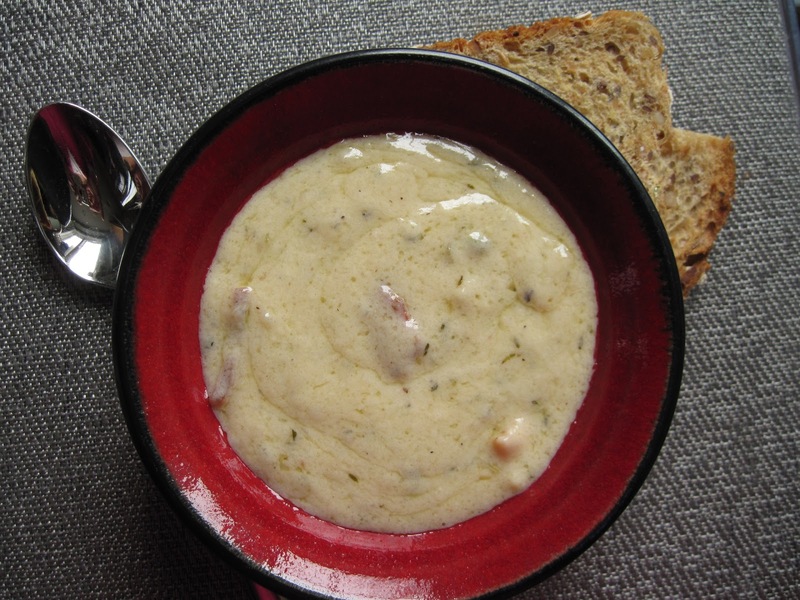 And speaking of pure comfort, howzabout a beer-and-cheddar soup? Beer-and-cheese soup recipes probably fall into the same category as homemade pasta sauce: every family has one and each thinks its is the best. So I'm not claiming this is the best-ever, ultimate, cheesiest or what have you: it's just the one that came across my path via the November issue of Food and Wine magazine. But I had to modify it a bit, just to be able to live with myself. I admit, I love cheese. And bacon. And cream. And beer. But when a recipe calls for all of those, in large quantities, together in one dish, I get a little scared. It's the Cooking Light devotee in me, I guess; I'd rather not be responsible for serving a stroke-on-a-plate (or in this case, in a bowl) to my family. This was what my happy chard looked like just before the deer attack. If you're looking for a fantastic recipe for chard, which is also an easy and elegant one-pot dish, I'd urge you to try Melissa Perello's Chicken Baked on a Bed of Bread and Swiss Chard from Food and Wine magazine. Tip: Use only about 1/2 to 3/4 of the chard called for and four or five drumstick-and-thigh chicken legs. What's your favorite way to cook chard? 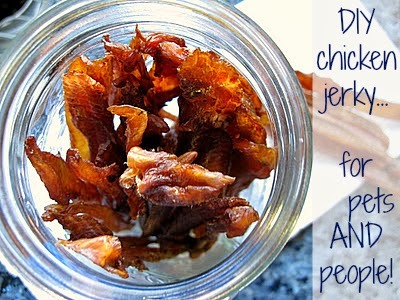 Easy DIY homemade chicken jerky, made in a dehydrator -- loved by people and dogs alike. I already know that this won't be one of my more popular posts, but hey, I'm in charge here and I love jerky. At least, I love homemade jerky. Do not call Slim Jims or that other crap that they sell at gas stations or the packy "jerky" -- bleeeeccckkk. Jerky is nothing more than dried meat and spices, so if you like meat and have never tried it because you thought jerky = Slim Jim, I urge you to reconsider. Jerky is a great snack to have on hand when you want something a little salty, and the portability makes it ideal for hikes, lunch boxes, road trips, etc. Not to mention that jerky is an incredibly high-value dog treat -- the Ninjette will pretty much do any kind of trick you ask and never take her eyes from mine when I'm holding even the tiniest bit of this jerky. I make my jerky in a dehydrator, but you could make this by drying the meat on cookie sheets in a low (200 degree) oven as well. The beauty of the dehydrator is that it uses very little electricity, so it's a more efficient way of making jerky than leaving your oven on all day. Additionally, you can make a lot more than jerky with your dehydrator: veggie chips, dried fruit, sundried tomatoes and fruit roll-ups/leathers, just to name a few. In case you haven't been able to hear me screaming with joy about it here in Vermont, Biscoff cookies are now available in a spread. Nutella, you may have just met your match. I love these cookies. Seriously love. Before they were readily available in grocery stores in the United States, I used to try purposely to book my flights on Delta Airlines because it meant I could get two little Biscoffs with my cup of water. And I'm not alone in my obsession. I have a friend and former co-worker who, on a flight we shared from Seattle back to North Carolina, went out of her way to befriend the flight attendant solely for the purpose of scoring extra Biscoff. I think she may have broken some kind of world record for Biscoff Snarfed in One Sitting. If you've never tasted them before (and my heart breaks for you, really, it does), they have a unique vanilla cinnamon sugar kind of thing going on, with just a hint of spice to keep it interesting. So now imagine that in a spread that is the consistency of peanut butter. Those Belgians, they are freakin' geniuses. We've been through this before, but some dishes simply don't photograph well. Just in case you were wondering why there's a picture of some lovely fall foliage rather than some strata. I tried, really I did. I even bought a cool new blue plate to add a pop of color. But three shades of beige are just three shades of beige -- albeit on a cool blue plate. So you get foliage instead: colorful rather than colorless. However, don't discount the strata itself. I decided to make it last Monday, as a tip o' the hat to Canadian Thanksgiving, and it didn't disappoint. Fall flavors wrapped up in baked custardy goodness: perfect for either dinner or brunch. 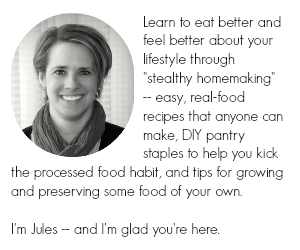 I'm happy to report also that it comes from Melissa Pasanen's and Rick Gencarelli's Cooking with Shelburne Farms, so it's a recipe right from my neck of the woods. As regular readers know, I'm lucky enough to have recently moved to Vermont, which is handily helping me fulfill my goals of eating locally daily. I blame the salted oatmeal cookies. Ever since they came into my life, I've been obsessed with finding other mouth-watering salty-sweet combinations. This time, I forced it. When I saw "lemon salt lemon cupcakes" as a link in my RSS feed, I jumped on it. It was a post from Helene at her lovely lovely lovely blog, Tartelette (I aspire to taking such amazing yet simple photographs -- someday, when I've graduated from point-and-shoot, I think). Helene's cupcakes look delightful, with a beautifully light buttercream frosting and just a hint of salt. But, you know me, if there's frosting on it, I can't call it "breakfast" without guilt, so I decided to morph the cupcakes into muffins. Enjoy this easy recipe riff on the classic vichyssoise: potato leek soup with spinach made in a slow cooker. We had our first major frost the other night: it went down to about 23 degrees. I dressed the remains of my garden in some little blankies and they did just fine. I'd like to be able to harvest at least a few of the radishes and turnips that I planted last month before I have to say good-bye for the winter. But the turn in the weather means that I have stopped thinking about tomatoes in favor of butternut squash. Fall things. Warm things. Casseroles and soups, for instance. In other words: it's slow cooker season. I love the set-it-and-forget-it nature of the slow cooker. This past weekend, we had houseguests and wanted to spend Sunday touring the area and visiting a local museum. So I put all the fixings of a chicken pot pie (of a sort) into the crockpot before we left and when we got home later, dinner was waiting. Not to mention that the house smelled awesome. And if slow cooker meals are easy, slow cooker soup is nearly effortless.